In the pig industry, there are those who adhere to one set of practices and those who cling to others. However, with the development of the Agriculture and Horticulture Development Board’s Farm Excellence Network and its farmer to farmer learning initiatives, debates about practices and policies are sure to provide clarity and improved farm patterns. 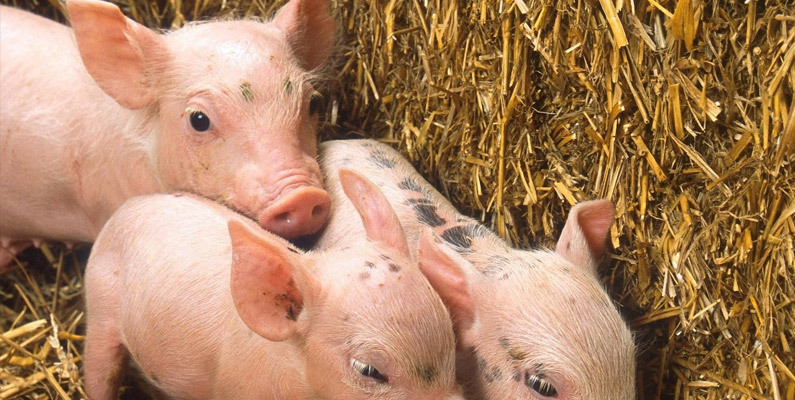 The issue of fattening pigs with liquid or dry feeding is likely to be one area of emphasis. This has long been an area of debate with some insisting that you get the best from your pigs from liquid over dry. In this brief article, we are going to take a quick look at the issue. Experts agree that “true liquid feeding is the use of a diet that is prepared from either liquid or dry components which are thoroughly mixed with water in a dedicated mixing tank and subsequently transported to the pig.” This is not to be confused with the use of automated dry/wet feeding units that ensure pigs have appropriate supplies of both water and feed, and allows the pigs to choose their level of intake at any given time. Let’s consider the liquid feeding as it is the one most commonly identified as superior. It does allow for increased accuracy, ensures that lactating sows (and weaning sows) get enough dry matter, reduces dust in the pig housing and allows for more flexibility in the design of the buildings. There are even some benefits to be gained from microbial activity in liquid feeds. Does this prove it is a superior solution when fattening pigs? Because feeding systems can be computer controlled and bring with them so many benefits, it does pay to consider if liquid feeding systems will work better for your program. If you are curious to discover how this might benefit you, get in touch with IDS. Offering turnkey pig housing, we can design, source and fabricate the most efficient and suitable feeding, penning and equipment solutions for your pig farm.